The Carolina Hurricanes have said that their menu of offerings does not contain any sea bass. Young star-in-the-making forward Sebastian Aho, whose teammates affectionately refer to as “Sea Bass” is not available to be traded. If you are another team looking for a trade from the Hurricanes, look elsewhere on the menu. 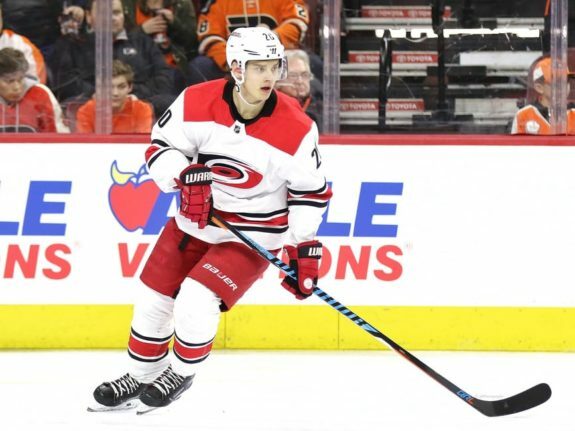 Luke DeCock of the Raleigh News & Observer wrote in April, “Dundon made it clear there’s only one untouchable on this team, and that’s Sebastian Aho. As for the rest? His message to them was simple: “It’s our job to find better players than you, and it’s your job to make it hard.” Dundon had created a new menu for the rest of the NHL to peruse, and on it are names like Justin Faulk and Jeff Skinner. Just no Sea Bass. Much of the hockey media has spent the offseason so far speculating on possible trades with the Hurricanes. 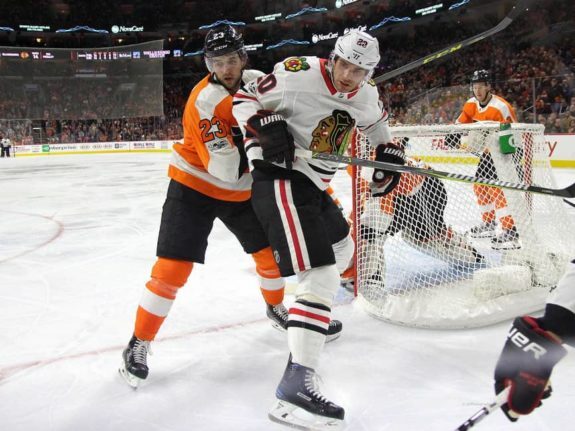 One of the more rampant speculations has paired the Hurricanes with the Chicago Blackhawks in a trade involving current Hurricanes co-captain, Faulk in exchange for a young forward like Brandon Saad. On the menu of available Hurricanes, Faulk has been a name that has been widely touted as trade bait for the team. Last season his offensive production tapered quite a bit. The Hurricanes had come to rely on Faulk as a big potential scorer on the power play, but he has settled into a pattern of producing total points in the mid-30s after a career-high 49 in the 2014-15 season. Like losing your favorite entrée at your favorite bistro, Faulk being traded would leave a big hole in the team’s roster. He has come of age with the Hurricanes and is a seasoned veteran now. But, perhaps his time with the Hurricanes is, of necessity, going to be short-lived. The Hurricanes have not made the playoffs under his leadership, whether during his one-year tenure as co-captain with Jordan Staal, or as one of four alternates two seasons ago. 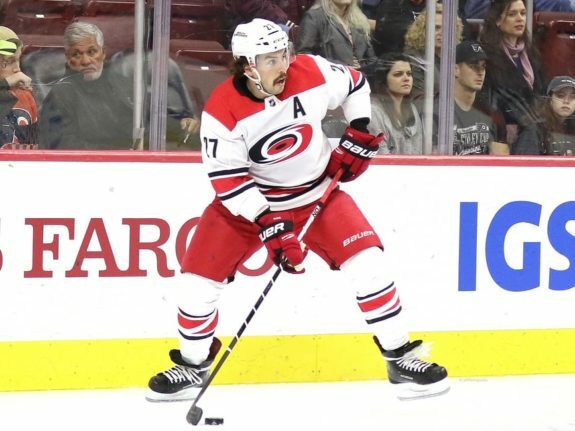 While Faulk has been the on-ice leader by example for the stable of young guns former general manager Ron Francis assembled, the team is growing and maybe a change of scenery would be good for him and for the team. Skinner is another name that has been tossed like a salad throughout sports media as a likely trade target from the Hurricanes. What seems to accompany much of the speculation are scenarios that are not favorable to the Hurricanes. For example, Larry Fisher of the Hockey Writers wrote in April that the Edmonton Oilers and the Hurricanes could be perfect trade partners. He postulated the Oilers getting Faulk and Skinner and sending a first-round pick and Andrej Sekera back to the ‘Canes in exchange. As an Oilers fan, I can see why Fisher would love this trade concept. The Oilers get a three-time All-Star in Faulk and a forward in Skinner who is capable of going off for 40 goals at any time. 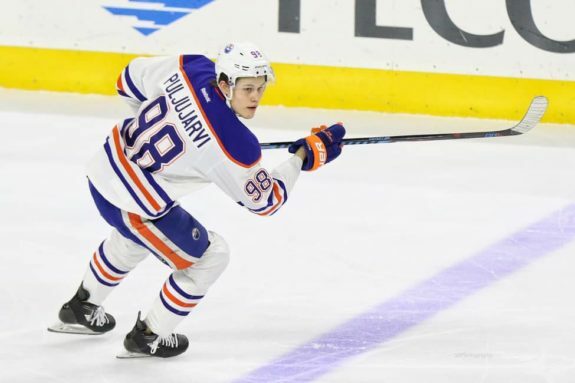 Sure, Puljujarvi was a top draft pick, but he has not impressed at all thus far. He just turned 20, but why should the Hurricanes gamble on what might be with him? Sekera was a good defenseman for the short time he was with the Hurricanes, but not enough to warrant sending Faulk and Skinner for in exchange. While a lot of teams in the NHL have pulled up to the counter and are salivating at ordering up some of the Hurricanes’ prime menu offerings, the team should not jump at just anything that they are offered. 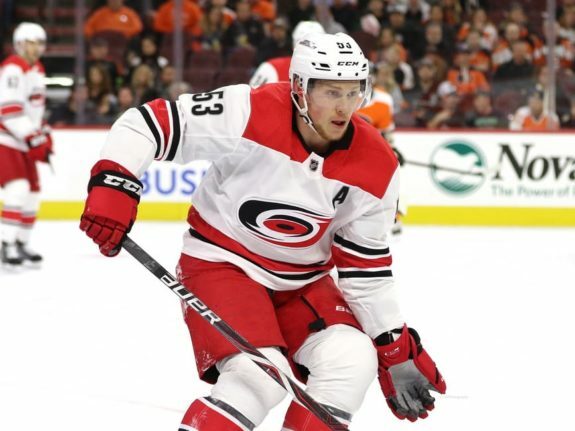 General manager Don Waddell is in a position of strength and should do his best to get a significant return for Faulk and/or Skinner, although Skinner should be off of the menu just like Aho. It is more than probable that the Hurricanes will be doing some deals very soon. Hurricanes fans hope that they are deals that will make the team better, and propel them into the playoffs. A solid goalie and a proven scoring forward would go a long way toward helping the team achieve that goal.